In this Webinar, you'll learn how to use the 5-Elements to guide parents on customizing their parenting style for their child's unique physical and emotional needs. In order to get your CEUs you'll need to take & pass the quiz with a score of 70% or better! Once you sign up, we'll email you the details on how to take the quiz. 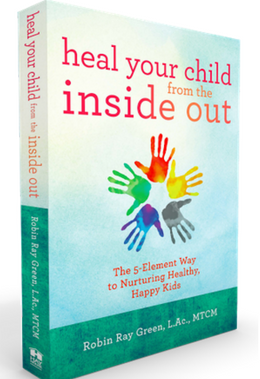 You'll also receive the Pediatric Healing Arts Weekly Email Newsletter. Make sure to grab a copy of Robin's Book! Get our 3 Free Gifts here! Order on Amazon now! Download the Five Element Questionnaire and Diagnostic Test to Use with Your Patients. DO NOT publish on your website or share on social media. Yes, Email Me the Questionnaire!